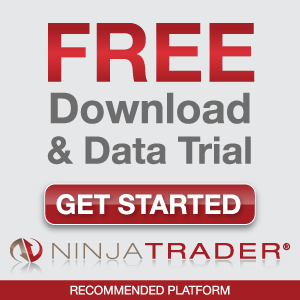 NinjaTrader is our #1 recommended active trader platform. We are pleased to offer NinjaTrader to our clients for many reasons but one great reason is that you can get started with NinjaTrader for Free! Why pay hundreds of dollars per month for products with less functionality when with NinjaTrader all you need is access to a real-time or historical data feed. You can also connect NinjaTrader to Kinetick, our recommended market data service, for free End-of-Day data! If you are using the wrong trading platform, order submission and trade management can be a timely and error prone process. Since 2003, NinjaTrader has pioneered easy to use yet powerful order entry and trade management functionality to overcome the limitations of other trading platforms helping our clients better achieve their trading goals! The innovative NinjaTrader SuperDOM and Chart Trader set the benchmark for order entry screens and is one reason we recommend it to our clients. Considered the industry's best order entry screens they provide traders with ease of operation, clear trade visualization and fast entry to capitalize on today's markets.